Edzo’s Burger Shop announced Tuesday that starting next week, it will stay open until 10 p.m. Tuesdays through Saturdays. Previously, Edzo’s closed at 4 p.m.
Evanston residents will soon be able to grab dinner at one of their favorite burger joints. Edzo’s Burger Shop, 1571 Sherman Ave., which was nearly as infamous for its limited hours as it was beloved for its juicy patties and thick milkshakes, announced Tuesday it will stay open until 10 p.m. Tuesdays through Saturdays, beginning next week. Previously, Edzo’s was open until 4 p.m. The restaurant, which is closed on Mondays, will continue to close in the afternoon on Sundays. Edzo’s, which opened in 2009 under the leadership of chef Eddie Lakin, opened a second location in Chicago’s Lincoln Park neighborhood in 2012. “We’re finally acquiescing to people’s many requests that, ‘Why aren’t you open at night?’” Lakin told Chicago Reader. 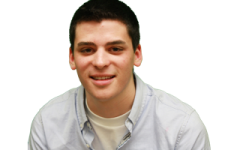 Lakin added that the addition of several full-time managers at both locations has eased the burden of running Edzo’s. 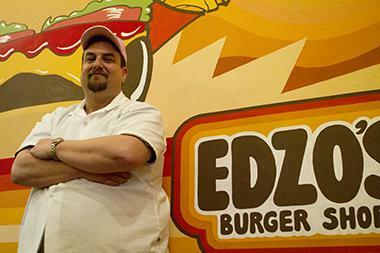 Last year, Zagat named Edzo’s the best burger in the Chicago area.